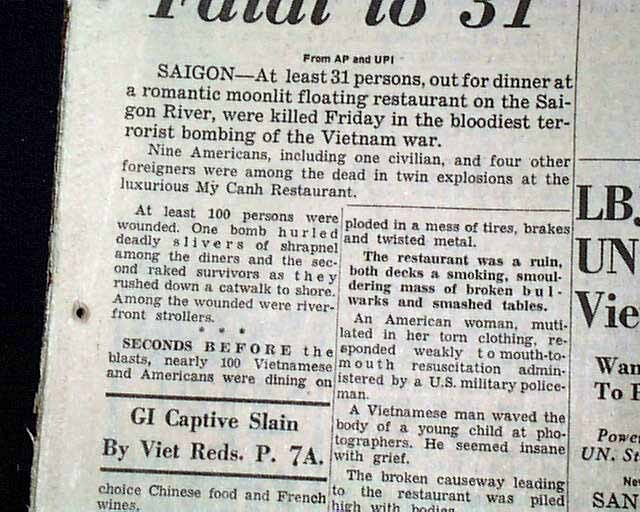 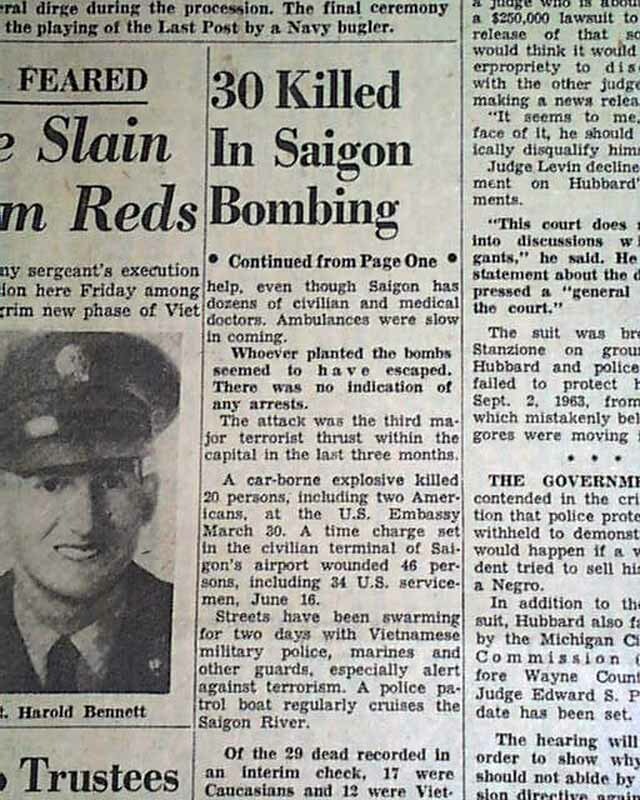 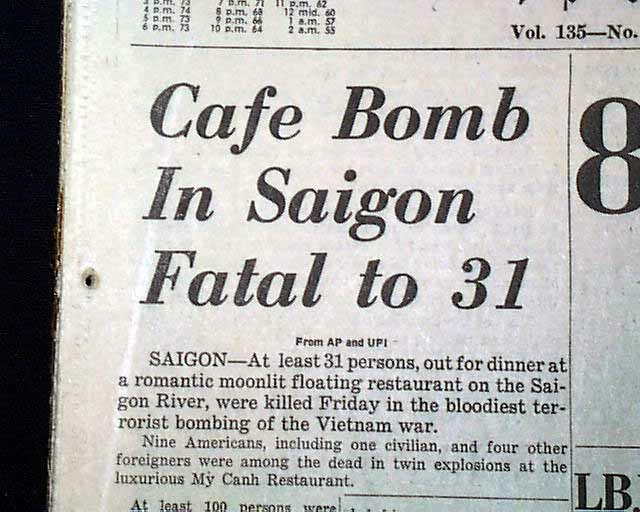 This 30+ page newspaper has a three line, two column headline on the front page: "Cafe Bomb In Saigon Fatal to 31" Tells of the My Canh floating restaurant bombing in Saigon Vietnam. 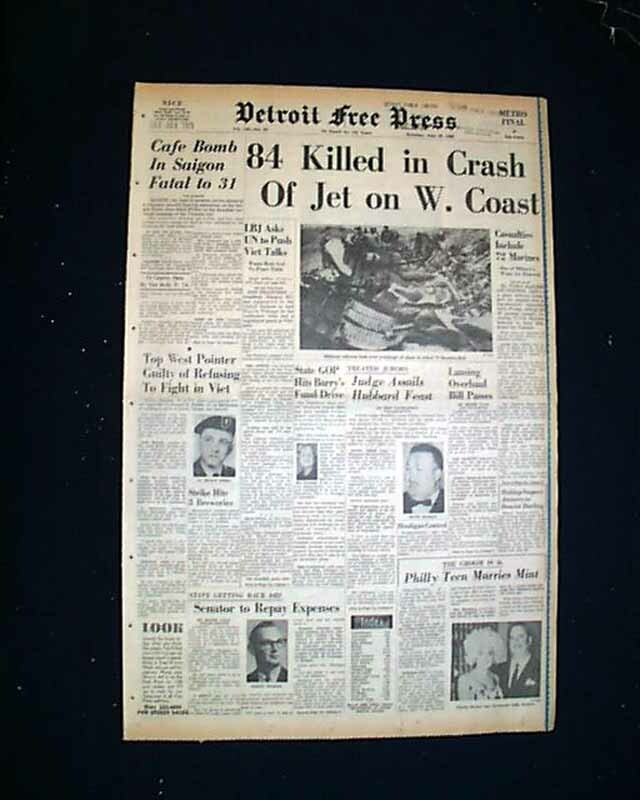 Other news of the day including a nice headline on a airplane crash on the West Coast. 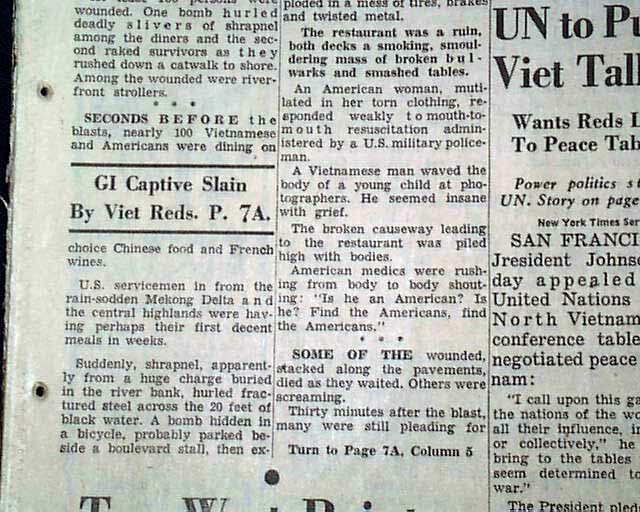 Small binding holes along the spine, otherwise in good condition.